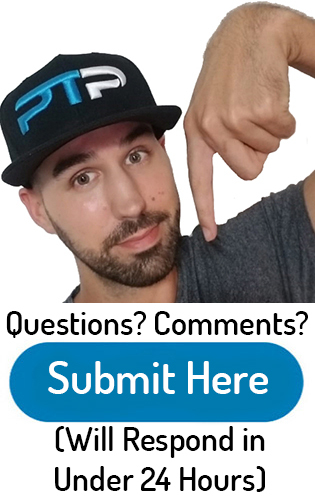 NASM CPT Review (2019) - What's the hype with this certification? 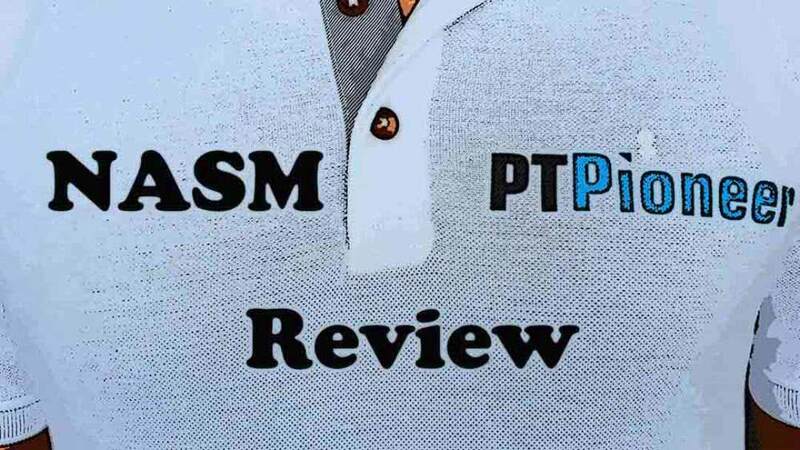 NASM CPT Review (2019) – What’s the hype with this certification? In my NASM review, I will be talking about all of the pros and cons of this popular certification. The overall goal is to have you be able to decide whether or not this certification lines up with your training style and goals! If you think it does, afterward you should check out their website. Also, make sure to check out my must-read article on the top five personal training programs or my article on NASM vs ACE. Make sure to leave a comment at the bottom if you have any questions. 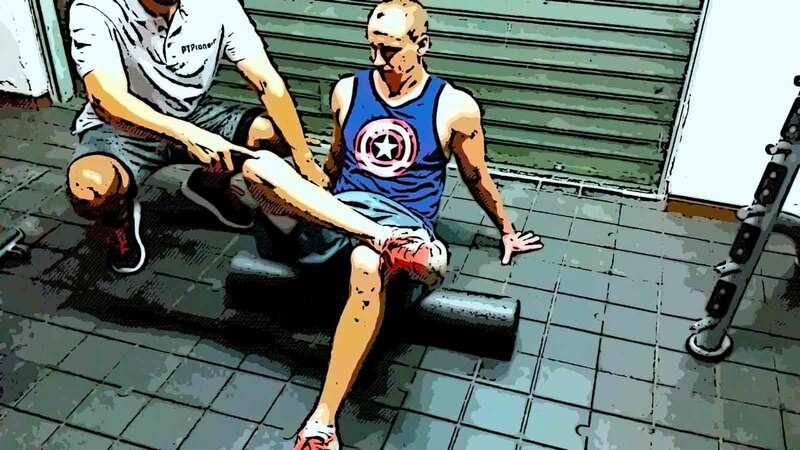 I highly suggest that you Take the quiz to find out which PT certification fits your training style the best. This is super helpful. 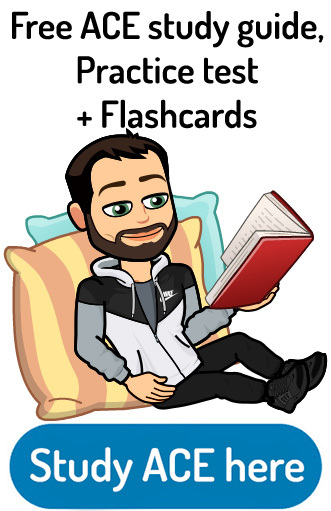 I also have awesome and helpful free study guide, flashcards and practice test for NASM! For you individuals who like to digest their material in video format, here is the YouTube video I made on the NASM CPT about three years ago. In general, the article is more information in this More up-to-date. NASM Review: What is NASM Certification? The National Academy of Sports Medicine (NASM) certification is one of the most well-known certifications in the industry today. Besides their general CPT certification, they also offer a wide variety of specializations such as their CES and PES and nutrition fitness specialist certification (FNS). Overall I would put this certification in the “corrective exercise” category. It is an excellent certification for working with sedentary individuals and post-rehab clients. As most clients that personal trainers work with are sedentary and overweight, this is a complete certification for working with this population. Let’s jump right into my NASM review and see what it is all about. And if you have not done too much research on personal trainer certifications, I have an excellent article on my guide to starting a career as a personal trainer! Check out the NASM website after the review for much more information and the most current prices. This certifying agency was started in 1987. Since its inception, it has grown to become one of the most prestigious certifications you can choose from. The program is based around their unique OPT (Optimum Performance Training) model. This model has five phases of progression. The beginning phase is called the stabilization phase. I feel like this stage is the most important for working with a wide variety of clients. It emphasizes correcting muscular imbalances before moving on to strength training. Since most of the individuals you will be working with are overweight and sedentary, this stabilization phase is critical. By sitting all day, a person develops exceptionally tight hip muscles, weak ankles, and forward shoulders. Because their posture is so bad, injury from weightlifting is extremely probable. Correcting these imbalances is the first thing that should be done. NASM does a great job at fixing this. Taking a client through the optimum training performance model makes everything very easy, safe and progressive at the same time so that they can see the results that they deserve. There are a few prerequisites needed for NASM certification. You need to have obtained your high school diploma or GED and have a current AED/CPR card (although not required to be at least 18 years old to take the exam, most employers need trainers to carry liability insurance, and most insurance companies require the insured to be at least 18). The certification is valid for two years after passing the test. Getting recertified will cost you $99 as well as proof of continuing education. There is also the option to pay $299 and never have to pay the $99 recertification fee every two years. This is a great deal if you know that you will be doing personal training for over six years. NASM requires approximately 20 hours of continuing education every two years. There is a wide variety of continuing education that they except and they even have their own courses or advanced certifications you can get that will fulfill this continuing education requirement. Check here for more information! The exam consists of 120 questions. All of these questions are multiple-choice, and you have two hours to complete it. The test is administered at the closest PSI facility. These facilities are located in most large cities in the United States. This third party test taking facility ensures that there is no cheating. You will receive a passing or failing grade immediately after finishing the test. Let’s check out the different parts of the test. The NASM exam is not particularly easy to pass. It is not the hardest test in the industry, but you need to make sure you are fully prepared. 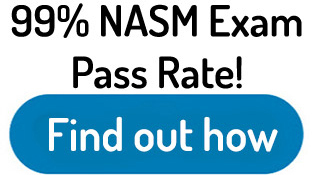 The pass rate for NASM is approximately 64% for first-time test takers. This is slightly harder than ACE at 65% but easier than the NSCA or ACSM certification tests which are both in the approximately 55%. It is not a walk in the park. I found the practice tests to be helpful for preparing for the final exam. Once you purchase the certification, you have six months to take the test at a PSI facility. If you are not prepared for the test within the six month period 12 month time period, you have the option of paying $75 for three extra months. Make sure you are ready. There is a $199 fee to retake the test. You may, however, take it as many times as necessary to pass it. At the time of writing this article, there are four packages that you can choose from. The cheapest option is $559. This option includes the primary textbook and online study materials (digital textbook, lecture videos, cueing library, practice exam and study guide). Although prices change frequently, check out the current prices here. The next option will cost you $749. 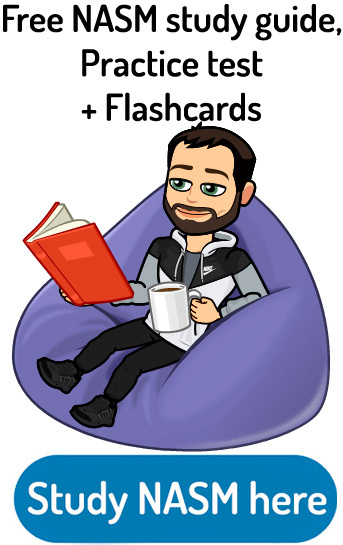 It includes everything from the $559 package as well as learning activities, including an anatomy memorization activity and flashcard bundles. The “Guided Study” option costs $909 and features content/exam prep webinars, access to a coach and mentor to guide you and help answer questions, discussion questions, live workshops and a hard copy of the textbook. It even includes an exam prep guarantee which means that if you don’t pass the test the first time, NASM allows you to retake the exam at no cost! That feature alone is a $199 value. As long as you are willing to put in the time, this bundle practically assures you that you will successfully pass the exam. The final “All-Inclusive” option costs $1,299. It includes everything from the “Guided Study” option but then takes it to the next level by including a CPT development program which consists of 80 hours of actual hands-on training with fitness clients. It also includes guidance on maintaining a successful personal training business perspective with their “NASM Business Accelerator Program.” They provide actionable techniques to help you maximize your profits, your use of time and the value that you provide to your clients. If you are planning on turning your personal training practice into a full-fledged business, the business accelerator program is definitely valuable information. Most personal training organizations teach you all about how to train clients and tends to neglect the sales, marketing and business aspect of the profession. If you want to get a leg up on other personal trainers, you need to learn how to sell yourself and your services! The package even includes the ultimate level of assurance with the “Job Guarantee” which states that if you do not get a job within 90 days, you get your money back! I think that the job guarantee is an excellent addition because sometimes even if you are certified, it can be hard to get your foot in the door for training or to get hired. This job guarantee lets you get your feet wet in order to get your bearings and start working directly after getting certified. This package not only helps you get through the exam but also gets you on the fast track to becoming a thriving industry leading personal trainer. Check here for the most current packages that are available! Get studying with my free NASM study guide here. Conclusion: Is NASM CPT Worth it? In my opinion, this is one of the top personal training certifications in the industry. This certification has a strong emphasis on corrective training and muscle imbalances. If you are not quite sure what type of training you want to do, you need to make sure to check out my article on the top five personal training certifications so that you can figure out which certification is best for your training style! Here is their website: I recommend that you check it out for more information. 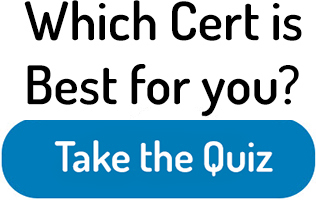 If you’re having a tough time choosing the right certification for you, Take the quiz to help point you in the right direction about which one to choose. With NASM, you will be able to work with a wide range of individuals. The options they provide for studying are exceptional and are tailored toward a wide variety of learning styles. This helps to make sure everybody who takes advantage of their study options has a high chance of passing the exam. Be sure to talk with a local employer and find out which certifications they prefer before choosing one. From my experience, everyone has heard of NASM. Most employers prefer it as well. The test is pretty tricky and the retest fee is steep. In my opinion, though, a challenging test only makes the certification more valuable. It makes sure that you know your stuff, and know it well. You will know exactly what to do when it comes time to train your first client. I find this very valuable. Now is the best time to get into the personal training industry because you can make significant money and do something you love at the same time. I also recommend checking out my certification comparison section as well as my other reviews! Make sure to check out the NASM website for more information on this as well as different specializations from them. I am just getting started on my quest to be a CPT. I am gathering as muffin info as I can and didn’t want to lose out on you form. Good luck with your training and I hope it all goes well with you. The NASM is a fantastic certification to get started with. Thank you, thank you, thank you for all your information! I’ve been teaching group fitness for a while, and I’ve had several students ask me to train them (they don’t realize my group ex cert is different than a CPT!). So right now I’m trying to gather as much info as I can to see if training makes sense for me. There’s so much info out there, but your articles are so straight forward and helpful! Thank you!